Mississippi Gov. 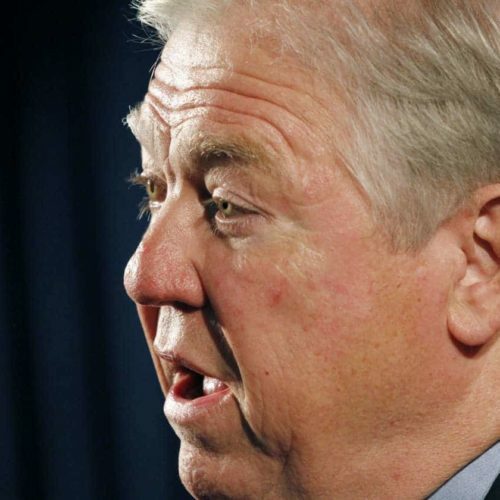 Haley Barbour, a legendary fundraiser, has begun raising millions for the Republican powerhouse American Crossroads to ensure that the eventual GOP nominee has enough outside financial support to retake the White House. Barbour, who has two months to serve in his term, has already traveled to GOP money meccas in California, Illinois and New York to court donors as part of an ambitious plan mapped out by American Crossroads and its affiliated Crossroads GPS. The two Crossroads have also increased their target to a whopping $300 million, say three fundraisers with ties to the groups. If the two groups meet their goal, about $150 million is slated to go for ads and other electoral efforts to boost their party’s presidential nominee. Raising the presidential money is Barbour’s primary mission. For the other $150 million, capturing the Senate will be the next priority. Other outside groups, including the American Action Network and the newly created Congressional Leadership Fund, intend to focus on keeping the House in GOP hands. Former Sen. Norm Coleman chairs both groups. American Crossroads on Tuesday released a video of Barbour making a pitch for its fledgling “1600 Fund”—a play on 1600 Pennsylvania Avenue—seeking donations to help win the White House. “America is at a crossroads. In 2012 we have to change course,” Barbour declares in the video. In an interview with Andrea Mitchell Reports on MSNBC, Barbour said, “I am going to do everything I can to make sure we have a new Republican president.” Barbour has said he won’t take a salary for his work with the two Crossroads groups. American Crossroads declined to comment for this story. Publicly the two groups announced plans earlier this fall to raise about $240 million for the 2012 elections, or double a goal set earlier this year. But now they’ve quietly upped the ante even more, telling several fundraisers and potential donors that the real target is $300 million. The figure is more than four times the $71 million raised last year. The new astronomical goal reflects both Barbour’s legendary cachet with GOP donors and the first-rate fundraising network assembled by GOP super operatives Karl Rove and Ed Gillespie, who cofounded the two groups in 2010. Barbour agreed to help spearhead fundraising for American Crossroads earlier this fall. Last year, Barbour was chairman of the Republican Governors Association as it raised a record $117 million and helped the GOP pick up six gubernatorial seats. Barbour honed his fundraising skills in the mid-1990s when he spent several years chairing the Republican National Committee which was instrumental in the GOP’s 1994 Congressional sweep. Barbour’s two successful campaigns for Magnolia state governor raised $13.7 million, according to the website www.followthemoney.org. American Crossroads was jump started early last year by the Supreme Court’s historic Citizens United vs. Federal Election Commission decision which freed corporations, unions and individuals to spend unlimited amounts on ads and other electoral tools that call for the election or defeat of individual candidates. American Crossroads is set up as a Super PAC, which can take unlimited donations but must disclose them publicly to the FEC. Crossroads GPS was set up as a 501(c)(4) tax exempt social welfare group under Internal Revenue Service guidelines, which is permitted to take unlimited checks but keep the names of donors secret. For this coveted tax status, Crossroads GPS cannot spend the majority of its funds on political activities, but must devote the money to issues advocacy. The two groups are prohibited from coordinating with the candidates or the national party committees. Earlier this year, Barbour flirted with making a bid for the White House but eventually opted against a run.